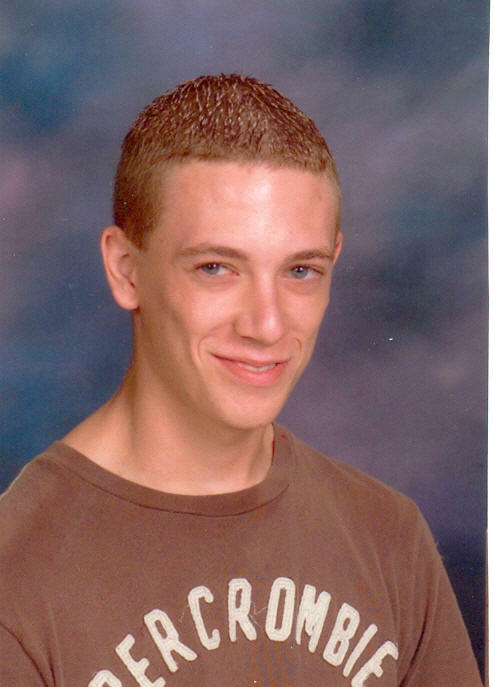 [February 23, 2007] EMDEN -- Paul Douglas Klokkenga, 18, of Emden died Thursday, Feb. 22, 2007, at 7:40 a.m. in an accident at the intersection of 2600th Street and 700th Avenue in Orvil Township, rural Emden. 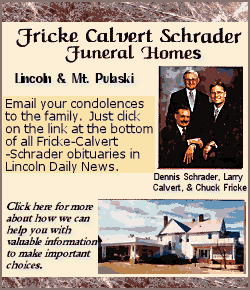 Visitation will be from 4 to 8 p.m. Saturday at Fricke-Calvert-Schrader Funeral Home in Lincoln. A service will be at 2 p.m. Sunday at Hartsburg-Emden High School gymnasium, Hartsburg, with Pastor Charlotte Poetchner officiating, assisted by Bill Marquardt, Joe Hackett and Tony Ziemba. Mr. Klokkenga was a senior at Hartsburg-Emden High School. He worked at Eeten Bin Service and with his father building motorcycles. He was born May 15, 1988, in Pekin to Kurt D. and Lee Ann Davis Klokkenga. He is survived by his father, Kurt (and Kitty Brydon-Snyder) Klokkenga of San Jose; his mother, Lee Ann Davis of Emden; and one sister, Abigail Ann "Abby" Klokkenga of Emden. He was preceded in death by his maternal grandparents, Harold and Lois Davis, and his paternal grandparents, Robert and Virginia Klokkenga. He was a member of the student council at Hartsburg-Emden and was in the building trades program at Lincoln Community High School. He was an avid motorcyclist. Click here to send a note of condolence to the family of Paul Klokkenga.